Saiyami Kher believes real fitness lies in having a strong core. "I like it when people accept their own bodies and try to better themselves each day," she says. Bollywood actor Saiyami Kher, who is also an Adidas India athlete, says that training for a marathon is like a road to self-discovery. 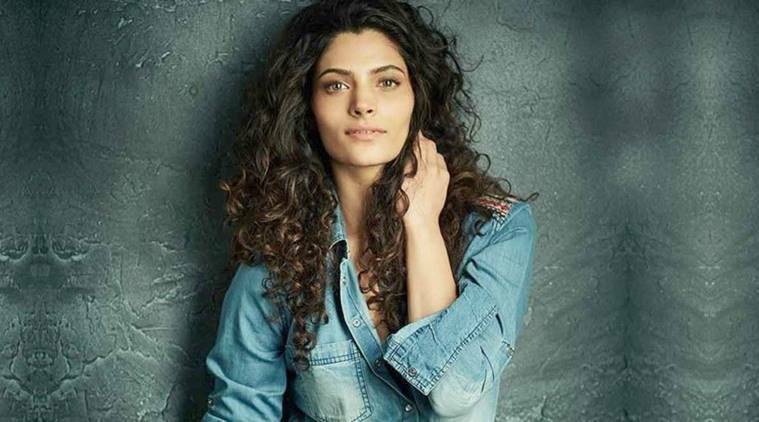 “Having a very strong ‘why’ behind your vision will keep you from falling back on your fitness goals,” explains Bollywood actor Saiyami Kher. A sports and fitness enthusiast, the Mirzya actor carefully chooses her words because she knows it’s difficult to be motivated in a world where people are quick to pull you down. “If you’re feeling low in the middle of a race and you start to question your capabilities, asking yourself ‘why’ you signed up for this will push you through your weakest moments,” says Kher, who is also an Adidas India athlete and is currently training for a triathlon this year and aiming to train for Ironman in 2020. Here, Saiyami Kher speaks to the indianexpress.com about running, emotional well-being and the importance of marathons. I come from Nashik, a small town close to Mumbai. My entire childhood was spent playing outdoors, swimming and running around. So naturally, running became an integral part of my daily life. When I shifted to Mumbai, it was difficult to play sports because I never found enough people to play with. So I started running, and all you needed was shoes and you could start at any time! I hadn’t participated in any races when I shifted, but I took part in the Bombay Marathon when I was 24. I timed 4 hours 58 minutes, and it was after this race that I started to take marathons and running seriously. Since three years now, I have participated in 7-8 marathons, countless 10 km runs. I am now addicted to running and to keep myself motivated I always register for 10 km races. Her advice: Train for a marathon to know yourself better, it’s a road to self-discovery, every marathon teaches you something. You will know everything about yourself when you do 42 km. It’s a battle with your mind. Saiyami Kher, who wears the Adidas UltraBOOST 19 for her daily runs, says she’s now addicted to running. When I train for marathons, I read up a lot of tips on how to manage it well and maintain a level of positivity to fuel me through the run. Her advice: Stay away from negative people, because you need positive reinforcement all the time. I keep my running activities very personal and don’t share it with the world. I also surround myself with like-minded runners because in your everyday routine all you end up doing is catching up for runs with those people and that’s a brilliant way to prioritise your goals. In my fitness journey till now, I know it’s important to be fit, but emotional fitness is equally important. Your body releases happy hormones when you run, and it could also help fight depression in some cases. We are so aesthetically driven to have big biceps, six-pack-abs. But real fitness lies in having a strong core. I like it when people accept their own bodies and try to better themselves each day. Her advice: Core strength is really important for runners. So include sit-ups, planks, leg raises, squats into your routine. When I am not training for a marathon, I focus on my speed and strength. Your new year resolutions will always expire by January 15. So it’s important to have consistency and be realistic with yourself. When we can’t achieve those resolutions, we start making lame excuses like “I don’t have time”. You always have time, even the busiest people have 20 minutes to spare. Her advice: Have a ‘strong why’ behind your goals. Because it helps you when you’re in the middle of a race and you question why you are doing this in the first place. No matter what you do, remember to remain humble and be a good listener, you will learn a lot more by listening intently. Saiyami Kher believes no amount of leg workout is enough. Sports help me a lot to deal with failures as much as success. As an actor, with a demanding work schedule and high-stress levels, things can easily go haywire. But running and playing sports lift me up. Her advice: Play a sport. It teaches you to win some and lose some. Embrace failures as much as success. I love eating food. I have a big sweet tooth for chocolates and ice creams. I won’t lie, I find it very difficult and sometimes give in to my cravings which I feel is fine. Once in a while, your body needs a little pampering as well. So days when I am training seriously, I will reward my body with something I really like eating. Her advice: Diet is a very important factor in keeping fit or preparing for any race. Have a balanced diet. I start my day by first drinking 1 litre of water, eat a banana and then go to train. For breakfast, I have four egg whites, omelette and one brown bread toast. For lunch, at around 1:30 pm, I have a good home-cooked meal such as roti, dal and vegetables. Around 5 pm, I snack on fruits. Then dinner at 8.30 pm, where I usually eat chicken salad and soup. When I am preparing for a race, I follow this routine: core exercises every alternate day, sit-ups and leg raises. And strength training twice a week. Her advice: No amount of leg workout is enough. So include squats and lunges into your workout routine. These are my go-to exercises anytime.